No matter what your skill level is, having fairway woods you can rely and depend on makes the game incredibly easy and more fun. As golf technology has improved, so have the design, distance, and forgiveness of fairway woods, meaning golfers have plenty of options to maximize their fairway woods’ potential to deliver long, straight shots off the tee, from the fairway, from the rough, and even from fairway bunkers. In this article, we will provide in-depth information about what makes fairway woods unique, their various components, and which fairway woods are right for you. 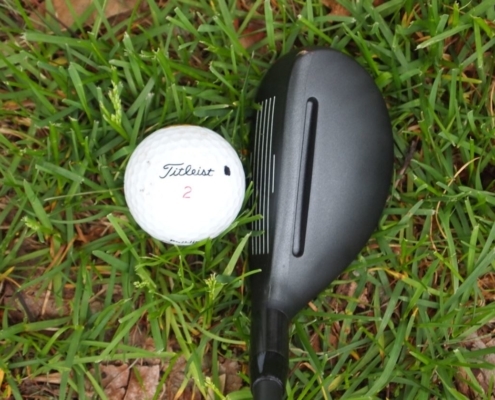 What is a Fairway Wood and what are its characteristics? While drivers have large clubheads, typically 440cc or more, fairway woods range in size from 140-180cc. The face of fairway woods are much shallower than a driver, which keeps the center of gravity lower, allowing you to get the ball airborne from the fairway or rough. Some fairway wood soles are designed to make it easier to hit them from divots or heavier rough. This is something you won’t find in a modern driver. Fairway woods make great alternatives to long irons, as they are easier to hit and easier to get airborne than traditional long irons. If you struggle with long approach shots and prefer the look and shape of a fairway wood, you may want to consider ditching your 3- and 4-irons and replacing them with fairway woods. When do you use a Fairway Wood? The best fairway woods can be used in a wide variety of circumstances. The most common times to use a fairway wood are off the tee on tight or short par-4s, for long approach shots on par-5s and long par-4s, and from fairway bunkers. One of the more uncommon uses for fairway woods is from around the greens, such as from the fringe or tightly-mown areas, especially ones below the surface of the green. For a great example of how effective fairway woods can be from around the green, watch Bubba Watson knock it close in this video. 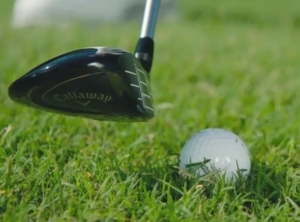 If you play on golf courses with collection areas around the greens and you struggle with your wedges, using a fairway wood is an excellent alternative for getting the ball up and down. 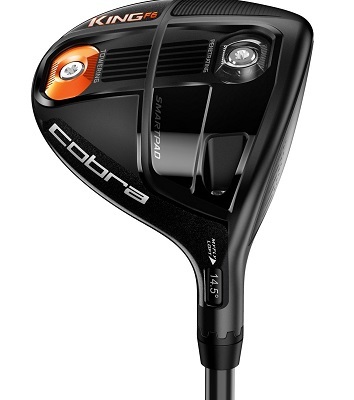 What degree fairway wood(s) should I get? With so many different lofts available in today’s golf market, it can be difficult to figure out how many fairway woods you should have in your bag. The key to finding the best fairway woods for your game is to space them out in a way that provides the most distance and consistency between each club. In this section, we will break down the types of fairway woods you need, the ones you should consider, and which lofts make the most sense. What degree 3 wood should I get? 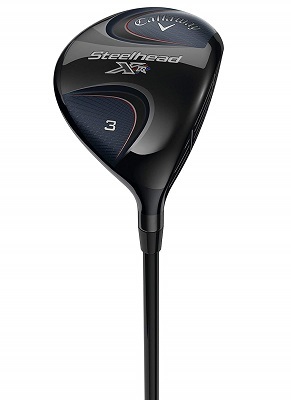 The 3-wood is a must have for pretty much every golfer, and should be the longest fairway wood in your golf bag. There are several factors involved in finding the right loft for your 3-wood, and the vast majority of this information can be found using a launch monitor. The most important factor to consider when choosing the right loft for your 3-wood is your swing speed. As a general rule, the faster your swing speed, the less loft you will need to launch the ball high. If your swing speed with a 3-wood is over 100 mph, the loft of your 3-wood should be between 13-15 degrees. For swing speeds below 100 mph, 15-17 degrees of loft will provide the best combination of high initial launch with optimal spin, the perfect scenario for maximizing distance. How far should I hit a 3-wood? 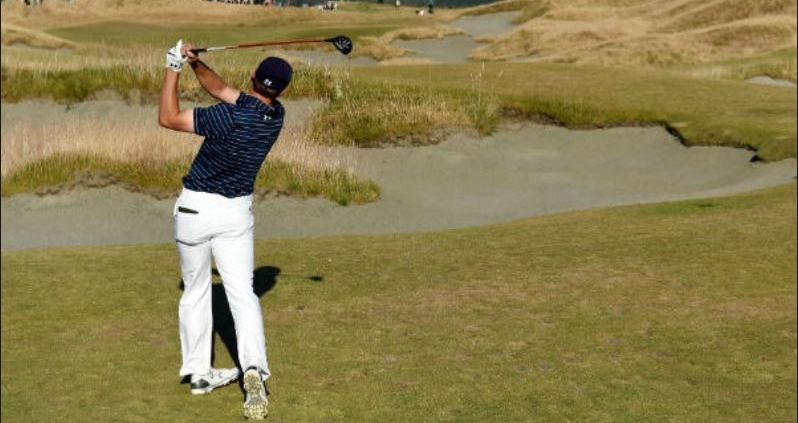 While the best male golfers in the world can hit their 3-wood over 300 yards nowadays, most golfers merely need to maximize how far their 3-wood goes. Average golfers who swing their 3-woods around 70-80 miles an hour should be able to carry the golf ball 220-240 yards. Therefore, if you have an average swing speed and aren’t able to carry the ball within this range, you may need a different club head or shaft in your 3-wood. What loft is a 5-wood? For the most part, a 5-wood has a loft range somewhere in between 18 and 21 degrees of loft. If you carry a 5-wood, it shouldn’t be more than 3-4 higher than your 3-wood. For example, if your 3-wood has 16 degrees of loft, your 5-wood should be 19 or 20 degrees. What is an 18-degree fairway wood? An 18-degree fairway wood can be considered a strong 5-wood or a standard 4-wood, depending on the design and face characteristics. How far should you hit a 5-wood? Since a 5-wood has more loft than a 3-wood, it should carry about 8-10 yards shorter for the average golfer. Therefore, players with average swing speeds should be able to carry the golf ball 190-210 yards. What loft is a 7-wood? 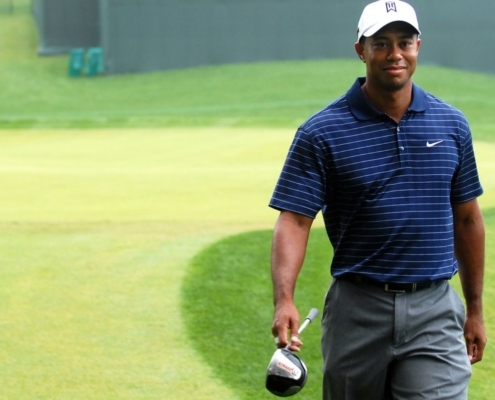 Although they are far less common in many player’s golf bags in 2019, 7-woods are still an effective fairway wood. The loft of a 7-wood ranges from 20-24 degrees, and even though the loft is similar to a 5-wood, the key difference is that 7-woods will have smaller heads, making them more versatile. How far should you hit a 7-wood? With its higher loft compared to a 5-wood, golfers with an average swing speed will carry a golf ball with their 7-wood somewhere in between 175-190 yards. If you carry a 3-wood, a 5-wood, and a 7-wood, there should be a yardage gap between 10-15 yards with each club. This way, you can handle any approach between 180 and 240 yards without making half- or three-quarter swings. Do I need a Hybrid and a Fairway Wood? Over the last 10 years, hybrid golf clubs have increased in popularity due to their versatility and shot-making capabilities. 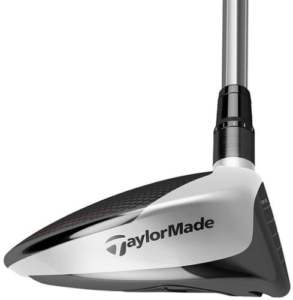 Hybrids also tend to be available in similar lofts as fairway woods, but hybrids can be more difficult to get airborne. The easiest way to figure out if you should carry both hybrids and fairway woods is to test them both out and see which ones are better suited for your game. The right combination of fairway woods and hybrids can make the game easier and more fun. Which Fairway Woods should I carry in my golf bag? Now that we’ve covered the basics of fairway woods and loft, we will discuss which fairway woods you should have in your bag. The answer is not as straightforward as it may seem. 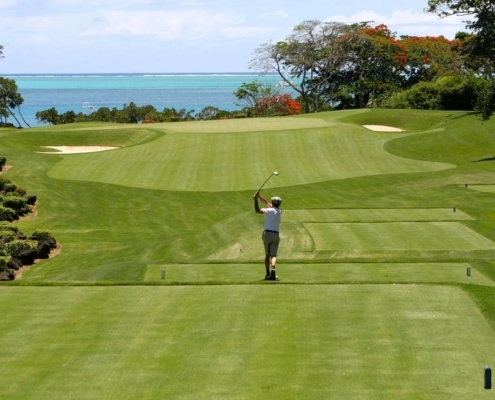 The first question to ask is what type of golf courses do you play? Links-style golf courses tend to be played with lower shots that run along the ground, while traditional courses require shots that fly higher and land softer in the fairway and on the green. If you play golf courses that require softer landing shots, you want as many fairway woods as your bag will allow. The same logic applies to playing golf in regularly windy conditions. Since fairway woods are designed for high initial launch, controlling them in the wind can be must more difficult than with long irons. 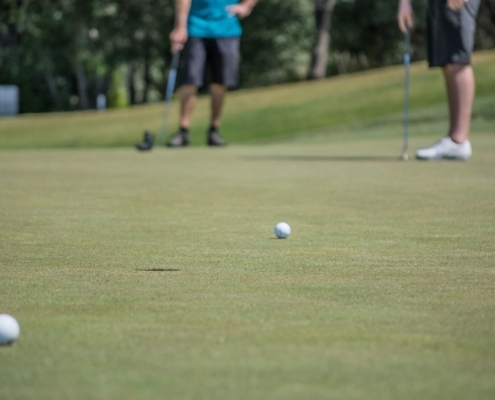 Since golf course conditions can vary, an easy rule-of-thumb to follow would be to always carry a 3-wood for tee shots and par-5 approaches, and have at least a 5-wood handy depending on the weather or which course you are playing. Now that you have a basic understanding of the various types of fairway woods, how they’re defined and which ones you should have in your bag, we will tackle the most important question: What makes a great fairway wood? By the time you’ve finished this section, you will know exactly what to look for when you buy your next set of fairway woods. For decades, steel has been the most common metal used in fairway woods, and many golf club manufacturers used steel to this day. 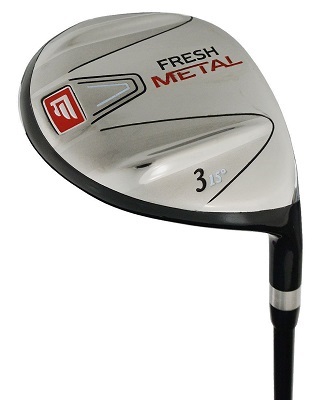 Steel provides stability to the entire body and is easy to build smaller club heads compared to drivers. Lighter than steel, titanium is a great material for the face of the fairway wood. Thinner faces provide more spring-like affect, which produces more distance than a standard steel clubface. Also, less weight in the clubface allows the manufacturer to place that weight lower and behind the face, which increases stability and forgiveness on off-center hits. While composite materials cannot be used on the clubface or sole of the fairway wood, they produce the lightest crown on modern fairway woods. As is the case with Titanium fairway woods, the lighter a golf club can be in the crown, the more weight that can be placed towards the sole, which lowers the center-of-gravity. 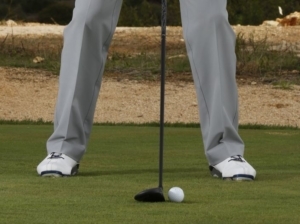 Why is a low center-of-gravity so important for fairway woods? The key elements of having a low center-of-gravity is increasing initial launch with minimal spin. The easiest way for golf club manufacturers to achieve a low center-of-gravity is by moving as much weight as possible from the crown and clubface to the rear section of the sole. If you’re a golfer that struggles with getting the ball airborne, having fairway woods with low centers-of-gravity will help immensely. For more information on COG or center-of-gravity, this article from ThoughtCo provides a plethora of useful points. Having the proper fairway wood length is essential to producing the best possible balance of trajectory, distance, and feel. When fairway wood shafts get too long, they can throw off the swing weight and make them feel too light, and a shaft that is too short won’t be able to produce enough speed to maximize distance. Shafts for 3-woods will usually max out at 43 inches, and shouldn’t be shorter than 42 inches. Those who carry a 5-wood and a 7-wood should be around 41 and 40 inches, respectively. Getting properly fitted is essential to knowing how long your fairway wood shafts should be. 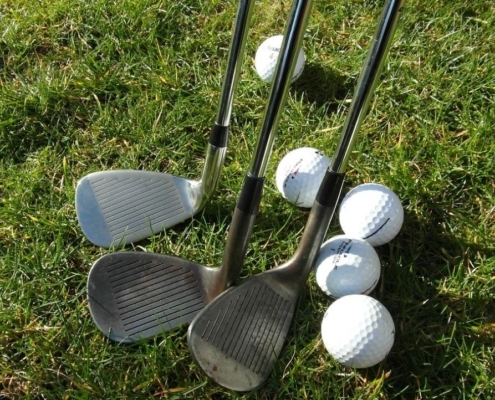 For the majority of the 20th century, golfers used steel shafts in all of their golf clubs, including fairway woods. Over the last 20 years, however, most fairway woods are sold with graphite shafts. The most important reason why fairway woods utilize graphite vs steel shafts is that lighter shafts are easier to swing faster. Since the average steel shaft weighs 100 grams or more, and graphite shafts range between 50-75 grams, you will gain more distance with a graphite shafts without compromising feel or consistency. Shaft flexes for both graphite and steel are basically the same, and include Ladies (L), Senior (A), Regular (R), Stiff (S), and Extra-Stiff. Your swing speed will determine which shaft flex works best for you, which is another reason why a proper fitting is beneficial. In year’s past, when you got fitted for a fairway wood, whichever loft and lie they provided you, you had to stick with or order another fairway wood with a different loft and lie angle. Over the last few years, adjustable fairway woods have become more commonplace, and is now the norm. Now any golfer can use a simple tool to adjust the loft, lie, and even face angle of the best fairway woods. Why would you want to adjust your fairway woods? The reasons behind adjustable fairway woods is similar to why you would carry fairway woods versus long irons or even hybrids. As weather conditions or course conditions change, you may want a 3-wood or 5-wood with less or more loft to make it easier to play. Instead of carrying 10 different clubs for every scenario you may encounter, you can setup one club 10 different ways before you play to optimize its playability on that particular day. What is the best fairway wood for a high handicapper? Since the majority of high handicappers struggle with hitting the ball high and straight, there are a few characteristics they should look for when purchasing the best fairway woods for their game. Fairway woods with more loft and a lower center of gravity will help high-handicap golfers hit the ball higher without too much spin, which lessens the amount of curve on the golf ball. A wider sole increases the moment-of-inertia. 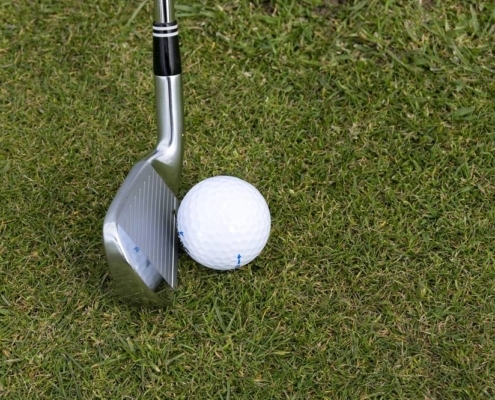 The definition can be a little complex, but the important thing to understand is a higher MOI results in a more stable clubhead, which reduces twisting on off-center hits. Not all fairway wood clubfaces are created equal, as many of them have varied thicknesses in certain areas. By decreasing the thickness of the clubface towards the heel and toe, fairway woods with variable face thickness will be even more stable and forgiving, making them ideal for the high handicapper. 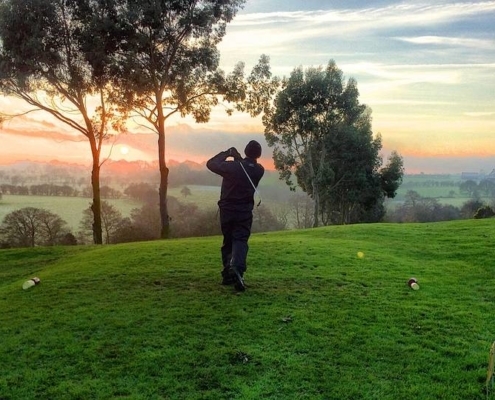 Having the best fairway woods will go a long way in making your long approach shots and tee shots easier and more fun, and I certainly hope this guide will help you find the right mix of fairway woods to help you play your best golf. The best fairway woods are ideal for tee shots on short par-4s, reaching par-5s in two shots, and hitting high, soft approach shots into long par-4s. Extensive testing and fitting will help you find the right mix of fairway woods with the proper loft, shaft flex, and lie angle. Even if you buy your clubs online, it’s a smart choice to get fitted. If you’re a high handicapper, you want fairway woods with a low center-of-gravity and a wide sole. Having adjustability is a great option to handle a variety of different golf course and weather conditions. Fairway woods can be used in tightly-mown areas around the green, providing even more versatility. By using this guide, you will be able to get the best golf fairway woods for your game, and have more fun!